Trying to find a suitable mate to date can be complicated. There's plenty to consider, such as general compatibility, attraction and personality. 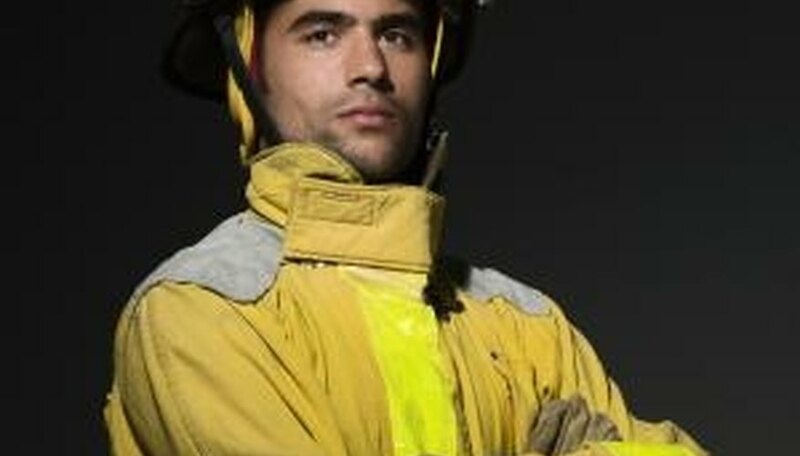 Firefighters have a history of being sought after, particularly males, for their charming personalities and great physique. However, there's almost a dozen other great reasons you might consider starting a fire in your heart for these service dynamos. Make your next date with a life-saving sweetheart. Surely anyone who can carry 50 pounds of hose can carry the weight of your relationship on their shoulders. As firefighters, they have to deal with spontaneous changes throughout their workday, in most cases where life and death are at stake. There's something attractive about having someone capable of being your knight in shining armor on a regular basis. Although they can walk on water or freeze people with one breath, they are seen as heroes in the community. Firefighters seem to have super powers, with the power to make you feel amazing. You'll be comfortable talking about what's bothering you with your date's calming, comforting nature. Typical firefighter schedules rotate where they have so many days on and off. Depending on their rank, it may be something like every three days they're reporting to work, and the next three they're off. You can plan for snuggle days enjoying each other and spending good quality time together when they're not suited up. Whether you're looking to get some lip action or need someone who can save your life, you'll benefit from these CPR trained men who are more than trained in the art of mouth-to-mouth. Find out what it means to date a well-respected hero. Knowing that they are putting their life on the line to save lives on a daily basis is an honorable trait and is a definite date-worthy plus. Dating someone you can respect is a highly important feature to any relationship. Though there are problems in every relationship, know that your firefighter is trained to be a problem-solver. Let his ingenious knack for troubleshooting issues overflow into your relationship as you are likely to be able to communicate clearly. As their occupation calls for them to be personable by default, enjoy the perks of dating someone with a personality that is made for approaching people of all types. Relax knowing that you'll be able to go out with someone who can chat up the older women at the deli or the young kid at the playground. With all the stress that life brings, it's nice to know that when anyone else in your life might leave you behind, your firefighter is knocking down walls to save you and pull you out the fire. Being in a relationship with someone you can count on goes without saying and is a great quality to have. With the training and physical upkeep firefighters go through, enjoy the benefit of having a physically fit sweetheart at your side. New firefighters to the field are usually the most robust as they are fresh off the training pad from their testing and drills. Having a date that's smart, witty, funny and hot --- now you're talking! One of the most popular reasons a firefighter is auctioned off at singles events and are stars of their own calendars is simply because they're hot. Enjoy the eye candy as your new mate. Green, Crystal. "10 Reasons to Date a Firefighter." Dating Tips - Match.com, https://datingtips.match.com/10-reasons-date-firefighter-8256478.html. Accessed 20 April 2019.